Certifeye The Tropical Wonders Eyeshadow Palette – Review and Swatches! 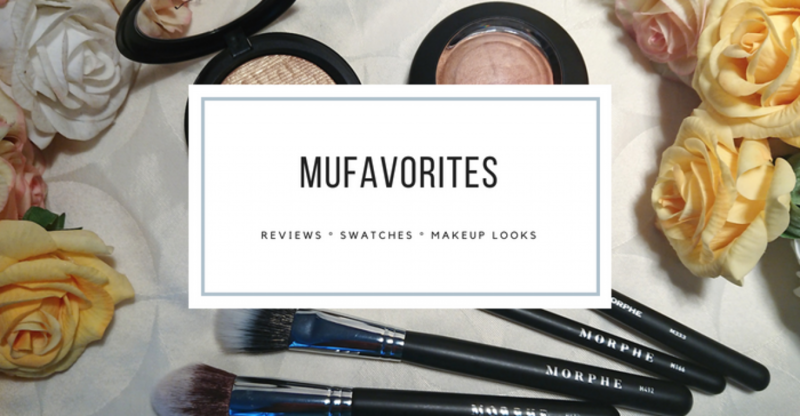 You know, being the Makeup junkie that I am I pay close attention to releases and read tons of reviews on different eyeshadow palettes. So I get pretty much bombarded with impressions of new palettes, and most of the time I realize I don’t want the palette or I decide to think about it for a while. After all I don’t really have the time to play around with, or the money to buy every palette out there, so I have to make some smart choices about what to add to my collection. However, on rare occasions I get so drawn towards a palette that I decide to buy it the minute I see it. That was the case with this palette from Certifeye. It was so colorful, with so many options, and just my kind of palette when I feel like getting creative. It just hit a nerve, and I ordered it as soon as I could log on to PayPal. I was completely unfamiliar with the brand and had no idea of what to expect of the quality or formulation of these shadows. I just realized I need a palette like this and crossed my fingers it would be good. I really like using matte colorful shadows and NYX Ultimate Brights eyeshadow palette have been one of my most used palettes in 2017. This one looked like that palette on steroids! And when it arrived in all its beauty I was not disappointed! This thing really does have some pigment! I mean, just look at how bright these swatches are! I like to break down each shade and talk about all of them one by one, but the quality of the shadows are really consistent throughout the palette, and there is not much variation so there is no point in just repeating myself. First of all, they are all matte. And that is one of the qualities that made me very drawn to this palette because I have so many palettes with bright shades in them and for the most part they have a shimmery or metallic finish. I find that those bright matte shades are rather uncommon in a single palette, and I’ve seen nothing quite like this. . All of the shades are pigmented, as I am sure you can tell for the swatches. I also played around a bit with all of the shades on my eyes and I found no problems what so ever in blending or making them apply evenly on the eyelid. Blend-ability can be a bit tough with intense matte shades so Certifeye did an A+ effort making these shades, because they apply without any problem at all. There are however some qualities about these shadows that some people may not like. Firstly they are very softly pressed. That gives them a very creamy feel to them, but it also means that you get a lot of kickback when you put your brush in the palette. I would say they are slightly softer than the Lorac eyeshadow formula. I don’t mind this too much. It means I have to be more careful when dipping my brush in the product and it means that the shadows will not last as long due to waist of product, but to be honest, I rarely hit pan on eyeshadows anyway. Fallout is also a small issue with this, but as with most bright, highly pigmented shadows I do do my eye makeup first so it is easier to clean up any mess. However, it goes without saying that these shadows are a bit fragile and I would personally not dare to travel with it because I would be too afraid of breaking it (The white shade had a tiny piece of shadow chipped off when it arrived to me, so it was even a bit damaged from shipping already). Overall, I am loving this palette. I realize that the loosely pressed shadows may be an issue for some and that is why I felt like mentioning it. Personally I don’t consider this a problem, because I actually prefer loosely pressed over hard pressed shadows. I am very excited to continue playing with this, and really happy that I could add such a unique palette to my collection. This palette will take the spot of NYX Ultimate Brigths palette (that I’ve used a ton during the last 6 months) because the shades in this palette are much more pigmented, and the color options are better. This palette is highly recommended to all you colorful ladies and gents! My Little Pony meets Tropical Wonders! Those look awesome and pigmented! I feel like a lot of palettes are shying away from the vivids so this is awesome!